Don Gallo at Choto - R2R Studio LLC. 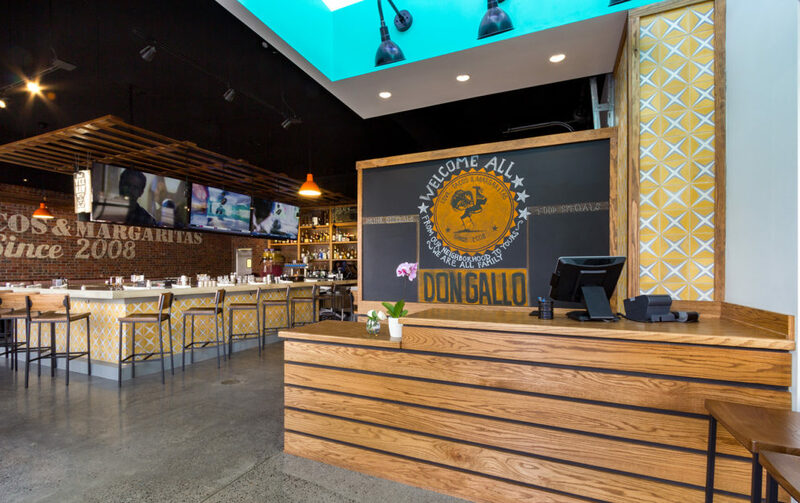 Looking to grow their established restaurant brand with a new location, Don Gallo seized the opportunity to expand at The Markets at Choto development. 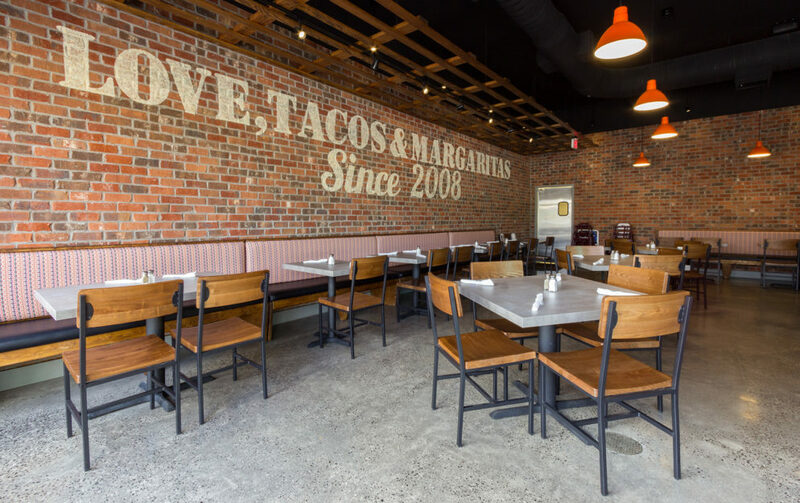 As one of the first commercial spaces in a primarily residential area, the driving force behind this location’s design was becoming a neighborhood gathering place and building on the Don Gallo motto of Love, Tacos, & Margaritas. 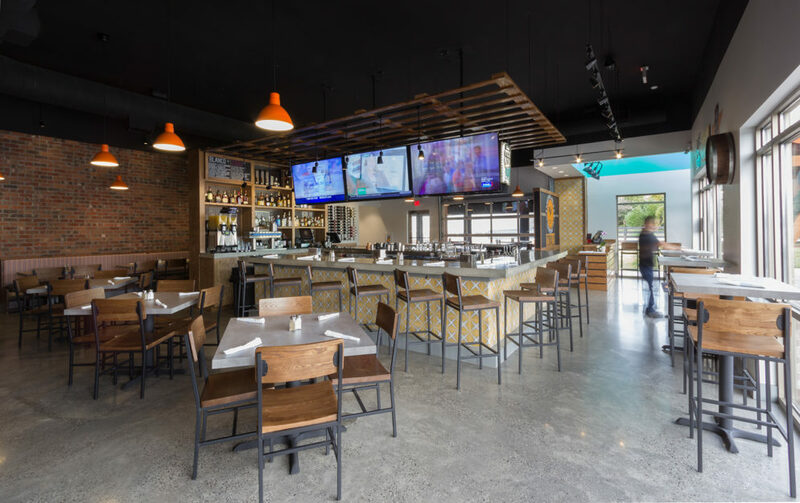 The open floor plan revolves around a large, central bar—the focal point of the restaurant’s layout. 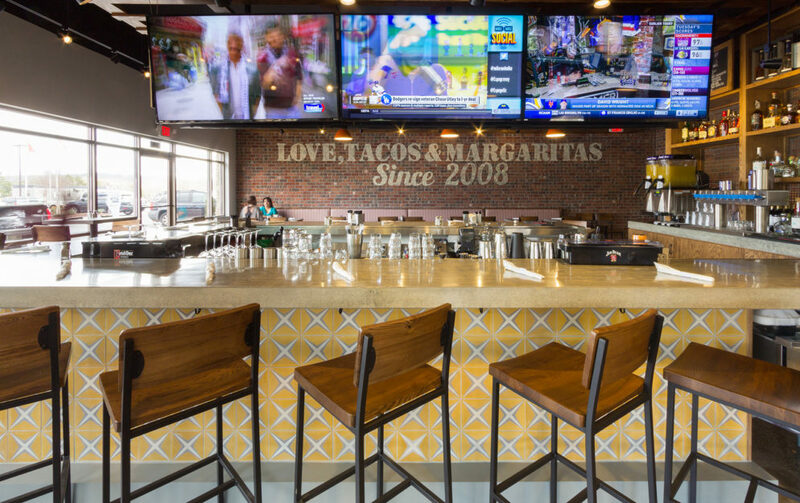 The highlight of the bar is the accent wall, tiled with handmade yellow tiles from Mexico. 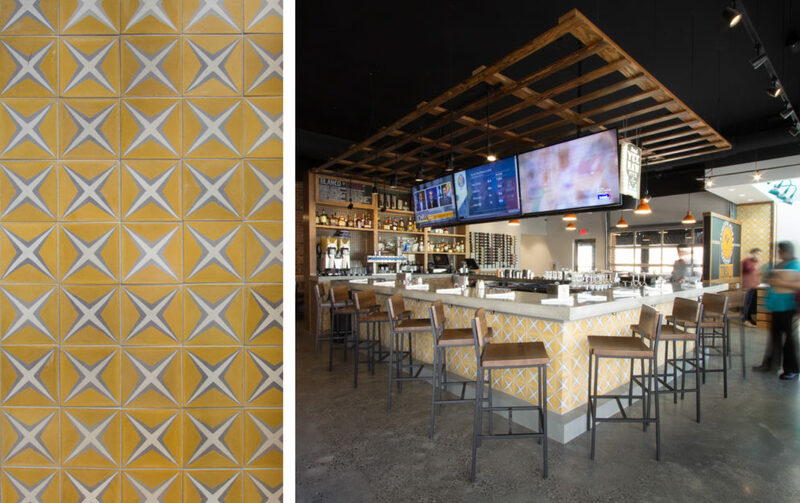 The Mexican tile along with the vibrant booth fabric offsets the industrial feel of the concrete, brick, and wood materials, adding warmth and pattern to the space. 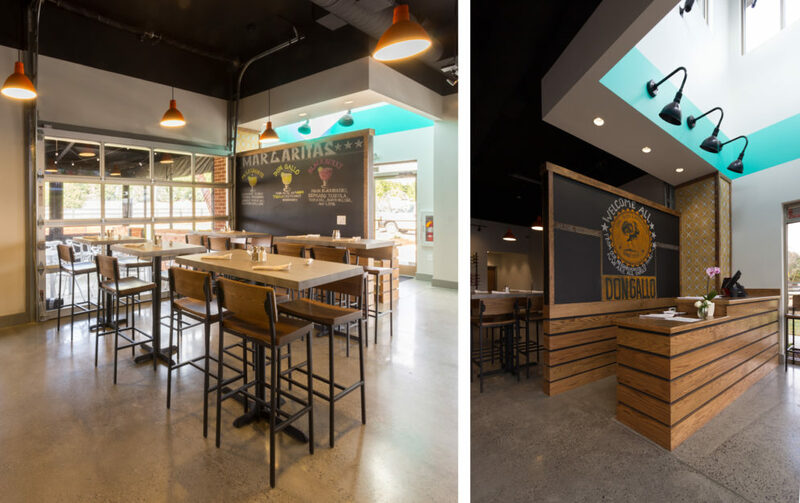 Efficiency was key to this tenant build-out. The kitchen’s equipment layout was organized and concise, and was coordinated closely with the Owners to achieve a practical result. To make the most of the cozy dining space, long banquette seating allows flexibility for groups, and community tables offer the chance to get to know your neighbors. Natural light filters in through the large entry tower, and a glass garage door opens to the large covered patio—perfect for summer nights with friends and family, or after a day out on the nearby lake.